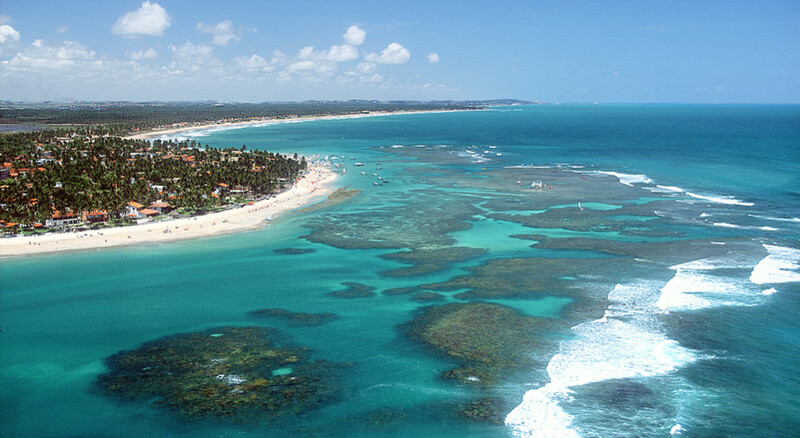 By land or sea, the walks are the major attractions of Porto de Galinhas. 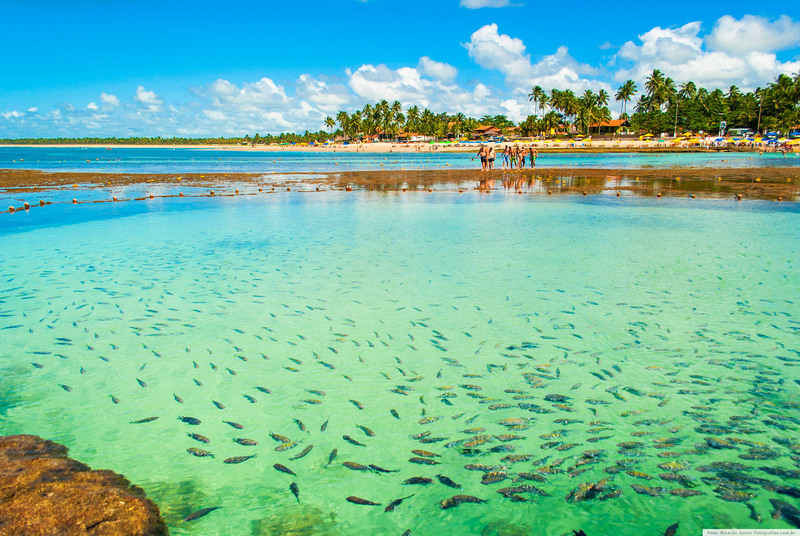 The buggy allow to meet most of the beaches, while the rafts lead to natural pools full of colorful fish. The boats already have the deserted island of Santo Aleixo, perfect for deep dives. 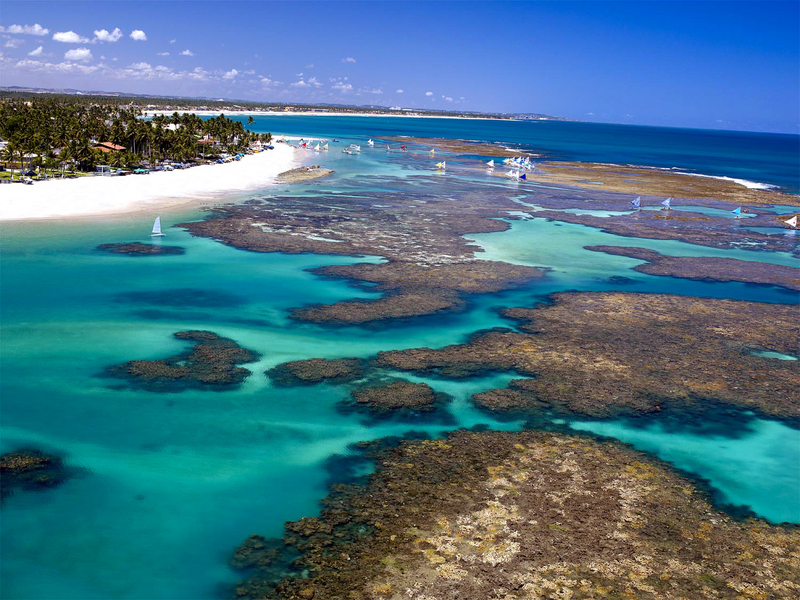 Coral reefs protect much of the beaches of Porto Galinhas, forming natural pools that provide relaxing dives. In the case of Muro Alto, considered one of the most beautiful in the region. Already that lends its name to the village is the starting point for the tours of rafts that lead to natural aquariums. To the South, the highlights are Serrambi and of Cacimbas, with small caves dug by waves, plus de Maracaípe, filled with surfers in search of good waves. 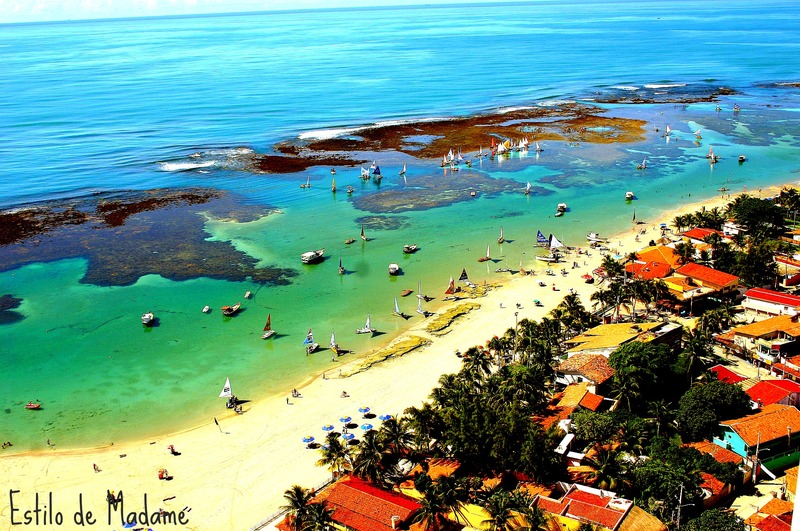 The paradisiacal scenery of Porto de Galinhas are not just to contemplate. The good winds, the natural pools and the peaks with good waves encourage the practice of sports such as surfing and kitesurfing held on the beach of Maracaípe; Waterskiing, wakeboarding and jet-skiing on the beach of Muro Alto; and deep diving on the island of Santo Aleixo, littered with shipwrecks. The region is also generous with the lovers of ecotourism, offering activities such as hiking, horseback riding and visit to the mangroves of the Pontal de Maracaípe. Not only of the day live Porto de Galinhas. The night is also agitated and can start with dinner at the village gastronomic Center of all saints, on the beach of Maracaípe. Then, let yourself be carried away by the animation of bars with live music and clubs mounted in the Center and road that offer the most varied styles – funk to electronic music, passing by MPB and jazz. On weekends, the traditional forró do Palhoção brings together locals and tourists. All over the village — in particular on the street of hope – there are shops, stalls and galleries that offer typical parts made by local artisans. Besides the traditional ceramic chickens for wood carvings, paintings, fabrics, belts, bags, nets, blankets, carpets and embroideries. Musical instruments such as drums of maracatu, tambourines and flutes, bamboo crafts are also for sale. The municipality of Ipojuca, 20 kilometers from the village, historical and religious buildings guard of the 17th century that are worth a visit. Among the attractions are the Church and the convent of Holy Christ and the Church of the Hill – that displays one of the most beautiful surroundings of the region, with a view of Cabo de Santo Agostinho Cape Santo Aleixo. The city also houses interesting machines-the Canoes, built more than 200 years, continues to produce honey, molasses and rum of artisanal way. Already the Gaipó Engine left as inheritance an imposing mansion dating from 1863.In perfect state of preservation and exhibition of furniture, pictures, dishes, crystals and original decoration objects reveals how were the farmers of the region. The 137 meters above sea level, displays one of the most beautiful surroundings of the region, with a view of Cabo de Santo Agostinho Cape Santo Aleixo. Only one device in the region to produce honey and molasses of artisanal way. The garden of 1863 presents exhibition of furniture, pictures, dishes, Crystal and decorative objects. One of the oldest convents of Brazil, Convento de Santo Cristo was founded in 1606. Next is the Church of the same name, built in 1663 and to guard the image of Santo Cristo de Ipojuca. There are free and autonomous dives (baptisms) in apnea or Scuba, natural swimming pools or in several points of deep diving on the coast of Porto that enable the visualization of a great diversity of marine species, lobsters, prawns, various types of coral and etc. Are 7 points near the coast of Porto and 3 points in the sea near the tip of Serrambi where there are three ships/sunken tugboats. 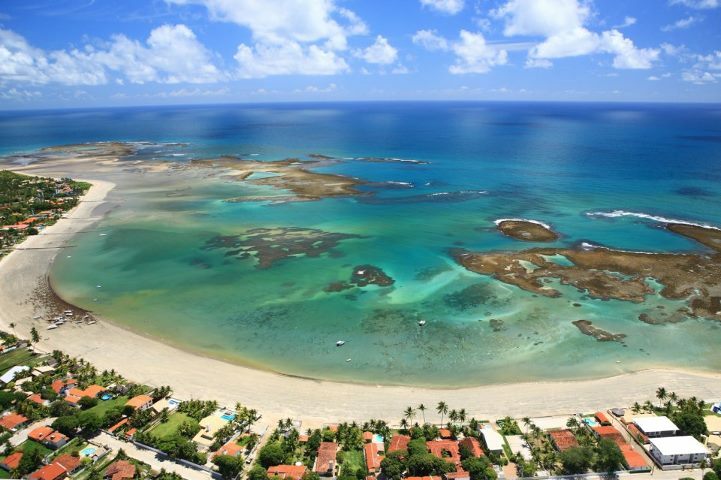 Following are the diving spots identified by one of the organizers of this activity in Porto de Galinhas. (Note The points can be located on a map of Porto de Galinhas in this Portal). Ada stone (28 m) is a slab with a significant diversity of marine life;place suitable for underwater photos. Boca da Barra (12 m) is a reef 200 m from the beach that allows daytime and nighttime diving, where you can see lobsters, fish-stones, octopuses, moray eels, flounder, chirugiões, polychaetes and loretas. Passion pit (12 m) is a bench of reefs to 200 metres from the beach which often allows you to see lobsters, octopuses, moray eels, chirugiões, blocks and stones. Cake (25 m) is a slab of reefs, cake-shaped, so the styling.Can be seen stingrays, moray eels, ciobas and big teeth. Ship gas (11 m) is the ship IGEL sunk in 1959 to 500 m from the coast of Porto de Galinhas and carrying a cargo of gas from Salvador to Fortaleza. Thirty (30) are heads of reefs, forming corridors and tunnels to 5 miles from the coast.You can see manta rays, moray eels, ciobas, big teeth, turtles and sharks. Gonçalo Coelho (33 m) is a naval vessel (67 m long) sunk deliberately, for scuba diving in 1999.The point allows visibility in summer 25 to 30 meters. It is frequent to find shoals of fish of all sizes: big teeth, ciobas, giant moray eels, turtles, stingrays, and mere. Galleon (35 m) is a boat that had an old shipwreck (probably in 1700) 18 miles off the coast of Serrambi.The fishermen called the area “carvoreio” and you can see a wooden keel, with pieces of hull, two huge anchors and significant diversity of marine life. The remaining parts not identifying the type of boat. Must have been a Galleon or a sailboat. Tug Mars (33 m) is a tugboat sunk intentionally to 12 km from the coast of Serrambi for scuba diving in April 1998.Allows visibility in summer 25 to 30 metres where you often can see shoals of small fish, big teeth, ciobas, giant moray eels, turtles and stingrays. The following is a movie made by a visitor and posted on Youtube a swim this Tug by a promoted operators plunge of Porto de Galinhas. Taçaíba (18 m) is a lage of reefs to 2 miles offshore where they can be performed dives in midstream.Often if they see corals, sponges, fish and fish passage. Are also promoted tours with dives in mangrove swamps of rivers (River Ariquindá, in the municipality of Tamandaré). The landscapes of Maracaípe, framed by the Atlantic forest, mangroves and beach of white sand and blue waters are perfect for horse riding. The activity lasts about 1 hour and a half and is made with tracking Guide. Colorful rafts from the beach of the village and lead to huge pools formed at low tide, which are 200 metres from the coast and the five-minute trip. To take full advantage of the plunge in the midst of the colorful fish is good to have on hand mask and snorkel – usually the rafts already offer the kit, including feed to attract the animals. Natural aquariums are surrounded by stands of coral reefs, being advised to wear shoes that can get wet during the tour – is the only way to avoid injuries after stepping on corals and sea urchins. The set formed by wall of sand, coconut trees, Atlantic forest reserve, coral reefs and natural pools makes Muro Alto is one of the most beautiful beaches in the region. Most of the major hotels and resorts are located in the area. The calm waters attract fans of water sports. Chime in the summer, the beach of the village has four kilometers long and is the starting point for the tours of rafts that lead to immense natural pools, accessible in just five minutes. The warm, transparent and calm waters and the infrastructure of bars make the beach more suited for those travelling with the family. With warm waters and calm that form natural pools at low tide, Gamboa is framed by Palm trees and for 13 kilometers from the village, is quite deserted. The strong waves attract surfers, who are on a beach almost deserted Cupe, filled with coconut trees. Good training – especially in the summer – make the stage area surfing Championships constant. In the left corner of the sea is more gentle and form pools. 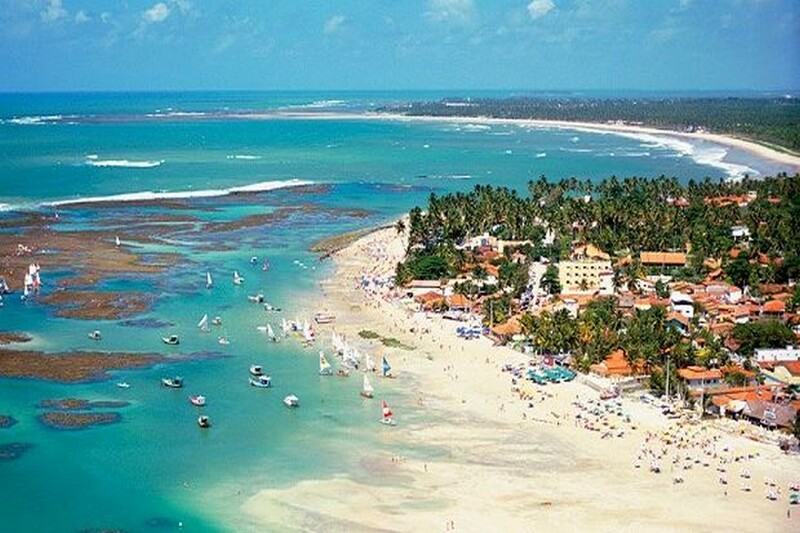 Indicated for those with children, Pontal has calm waters and warm perfect for bathing and kayaking and raft. In the surroundings there are walking trails and kiosks. On the beach works the seat of Hippocampus Project, which aims to preserve the sea horse. Full of coral reefs, Enseadinha provides cool baths in natural pools. Surfers and divers share the beach of Serrambi, which offers good waves in some stretches and coral formations in others. There are the boats for deep diving amid shipwrecks. Semi-deserted, the praia das Cacimbas has as featured the rock formation along the beach which houses natural pools and small caves excavated by the waves. Beautiful palm trees complete the look. The beach combines strong waves and natural pools, luring divers and surfers. Boats anchored there lead to trips to Santo Aleixo Island, one of the most popular sites for scuba diving in the region. -the Cupe Beach which is located in the northern region. At that point, where already were held several official competitions, surfers are also strong waves that allow radical maneuvers. 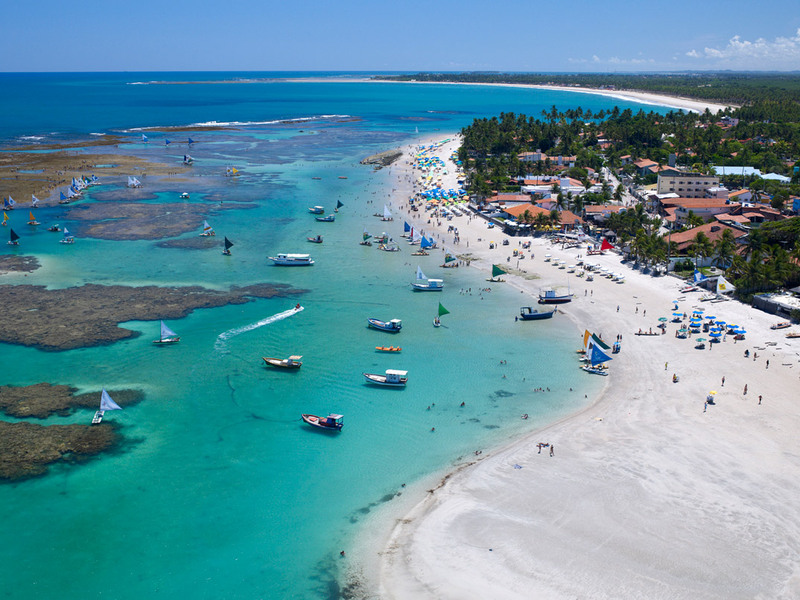 CUPE has advantages as concentrate most of the hotels in Porto de Galinhas and be of good access. – Click here and check out some tips on conserving the equipment. 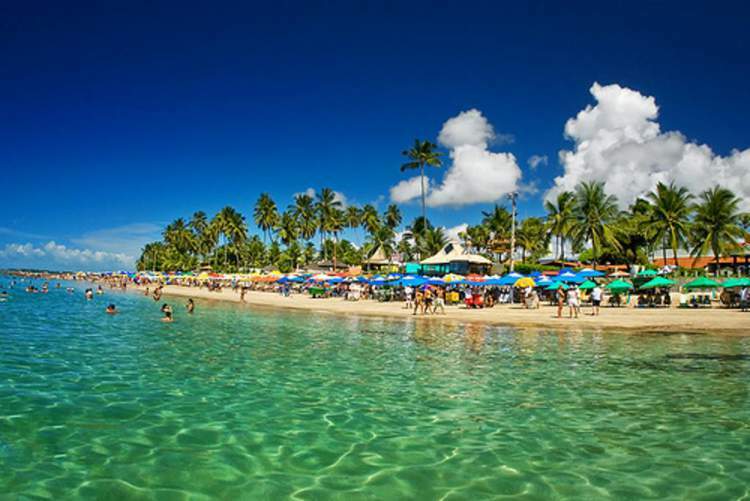 In addition to the traditional seaside beaches tours, if you are in Porto de Galinhas can choose to visit other places. Meet some suggestions. 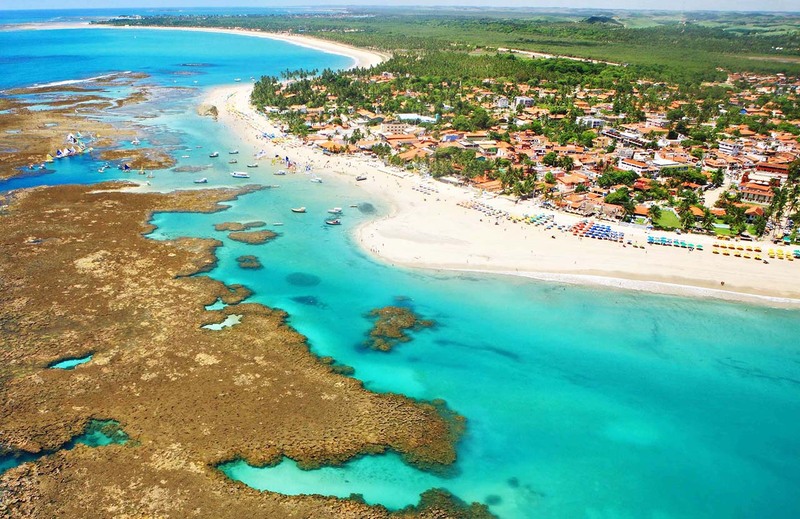 115 km far from Recife: Tamandaré is a municipality that houses other fine points of the northeastern coast, the beaches of sheep, of Graves and Pontal Lira. 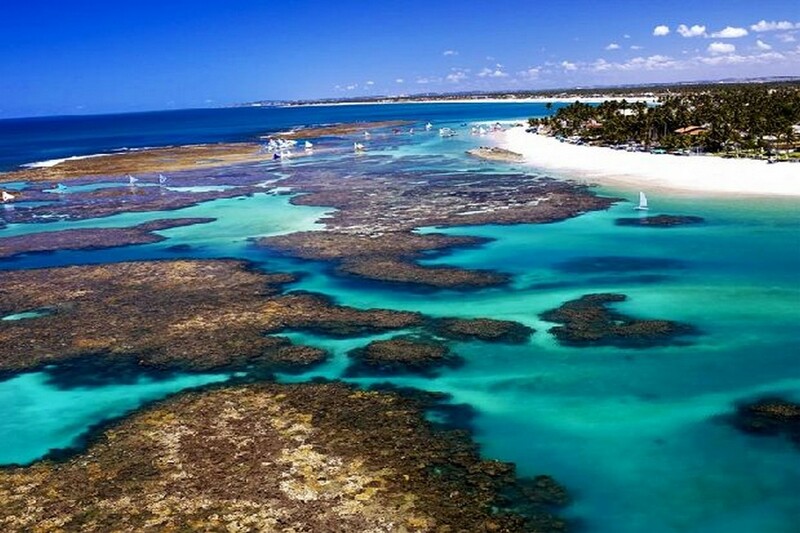 In all, the region has 16 kilometers of clean, warm water beaches. 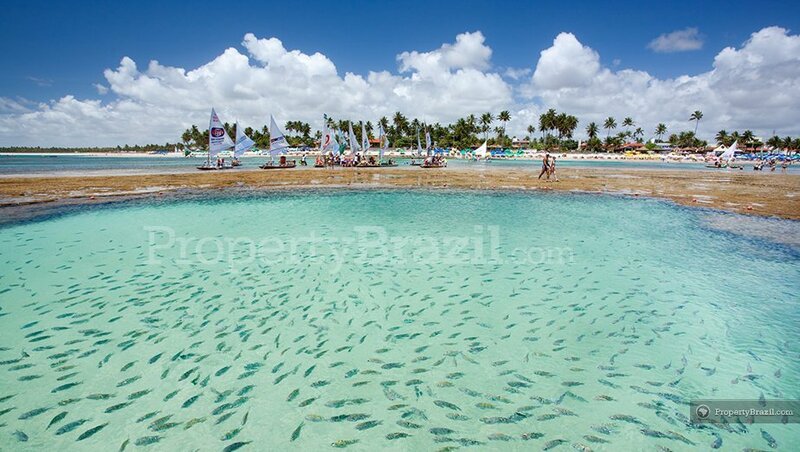 The site is home to the beaches of Gaibu, Calhetas and which are only 36 kilometers and about 45 minutes from Recife. The small Bay of Calhetas is located between a coconut trees, rocks and hills. Gaibu already, which means in the tupi language “vale do olho d ‘ água”, was the first urban nucleation on the seashore in the country and offers good conditions for diving, fishing, water sports, natural pools and open sea which allows the practice of surfing.